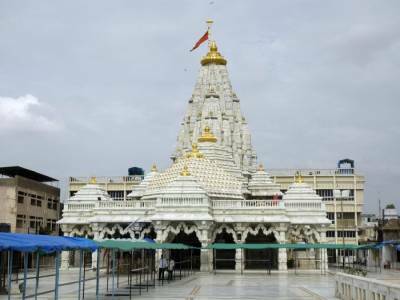 The Ambaji Shakti Peetha Temple in Gujarat is among the 51 Shakti Peethas from the Hindu religion and is revered as the one of the most scared Peethas among the whole lot. 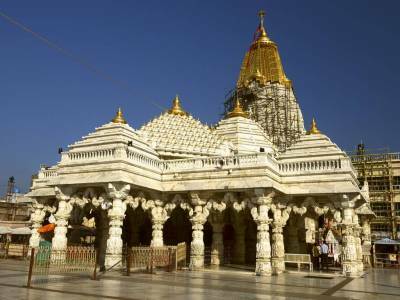 The heavenly town of Ambaji is located in the mountainous district of Banaskantha in the western state of Gujarat, in India. The Ambaji Temple is situated at an elevation of 480 meters above the seal surface amidst the hills of the Aravalli Mountain Range. 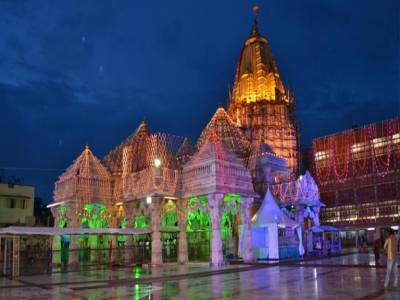 Being located in the northern part of Gujarat it is quite an easy reach for any person reaching out for this place of worship. In Indian folklore there are numerous divine beings and gods. For such a reason there are numerous legends however the greater part of these encloses the Tridevs - Lord Brahma, Lord Vishnu and Lord Shiva. The principal legend about Lord Shiva is his adoration for Lady Sati and there endless fulfilment of warmth. The story expresses that after the demise of Lady Sati the Blue Lord regretted and maddened in misfortune, hit the earthly stage with a cataclysmic dance along with Lady Sati's body bringing about dissipation of the body parts into 51 parts crosswise over the whole Indian sub continent. Every one of these parts turned into a wellspring of unadulterated primal vitality known as 51 Shakti Peethas and among them places where the tantric power is most prominent is alluded as Adi Shakti Peeths as per the Shaktism faction. It is believed that the heart of Lady Sati fell here in Ambaji and hence the Ambaji Shakti Peetha came into being. 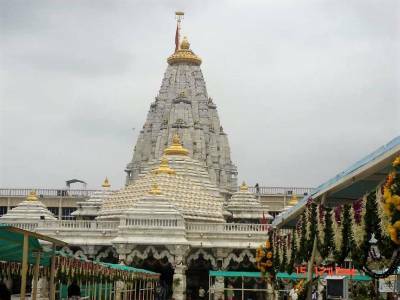 The temple of Ambaji Shakti Peetha is located atop the Gabbar hill in the town of Ambaji and it is a very quaint place for worship and prayer. The Ambaji Shakti Peetha Temple is located about 185 KM away from Ahmadabad and is a great tourism place for a family outing. 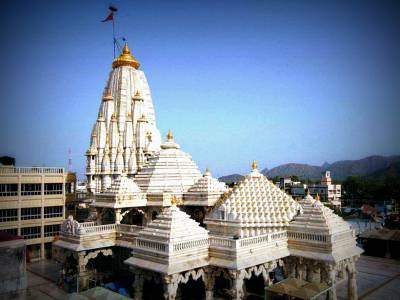 Get quick answers from travelers who visit to Ambaji Shakti Peetha Temple.